The St. Catherine region of Egypt’s Sinai and the Troodos Mountains of Cyprus are attractive Mediterranean destinations with a lot in common: UNESCO World Heritage recognition, substantial tourism potential, wealth of creative, nonpolluting community industries, and distinctive local agriculture. Both offer unique, self-contained, and unspoiled destination experiences ready for responsible and engaging tourists to visit and actively help develop. Both destinations struggle to keep growing their unique natural products in the face of commercial modernization pressures that affect land and society. This Cypriot-Egyptian event was the product of a new initiative called Connect to Grow (C2G), which uses the innovative concept of geotourism to help poor or vulnerable communities adopt a joint operating platform for marketing the local agro-food and creative industries essential to these rural communities. C2G is intended to assist any such rural communities that have unique business ideas and entrepreneurial vision. 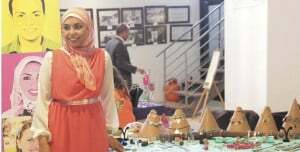 The Egyptian party included three segments— civil society, responsible government officials, and responsible business entrepreneurs from the agro-food and creative industries, along with the St. Catherine’s Medicinal Plants Association (SCMPA), including Bedouin farmers and artisans. Welcoming them were the Troodos Network (the leading local NGO) with the strong support by the local council of Plattres/Troodos and the governments of both Cyprus and Egypt. Activities during the Egyptian visit included seeing and sampling items unique to each of the natural reserves, such as herbs and spices, as well as exploring the forests and natural environment of Troodos and discovering the creative work of both destinations. This was the first time that a community NGO, representing St. Catherine, has had the opportunity to introduce its products abroad directly and not through a mediator. Cypriot and Egyptian participants learned from each other. Some discoveries were practical: Bedouin artisans learned a way to improve their traditional soaps; Cypriot artisans learned a new weaving technique. The two agricultural communities also gained new perspectives from each other on their respective climatic limitations—St. Catherine as a desert and Troodos as a winter-freeze zone. Most significantly, each community learned that their own culture and way of life is of interest to others. Geotourism trips like this one can serve as a catalyst for helping targeted women and young entrepreneurs penetrate markets, access finance, and market their products—especially to geotourists who go beyond practicing eco-friendly tourism to sustaining and supporting community stewardship and human livelihood. Increased “destination pride” (as emphasized by the “godfather of geotourism,” Jonathan Tourtellot)—in essence, the pride that people take in celebrating our diversity and special natural and cultural identity. This geotourism-led solution can apply to vulnerable communities in various Euro-Mediterranean countries, such as Cyprus, Lebanon (Arz El-Choouf Biosphere), Tunisia, and of course to Natural and Biosphere reserves in Egypt. Along with the governorate of South Sinai (St. Catherine), Egyptian communities in the governorate of New Valley (villages of Bashandi & Mounira) and of Aswan (Nubia and Wadi Allaqi) all face similar challenges. 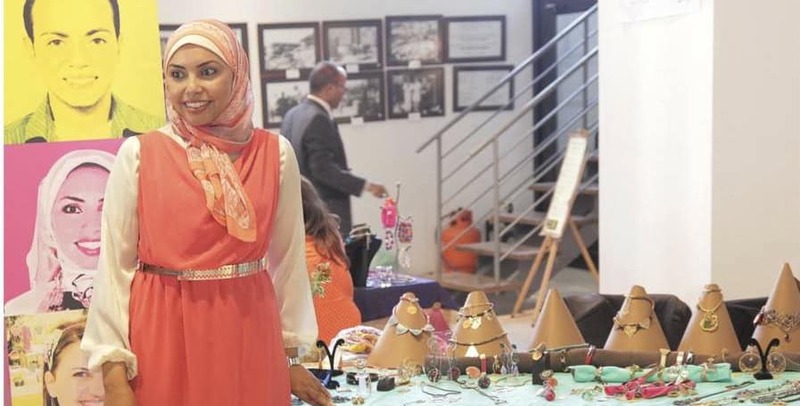 Such communities have the opportunity to sell their their creative artwork as well as traditional agricultural foods and herbs within their communities when geotourists travel to Egypt. St. Catherine’s has 472 species of rare medicinal plants, of which 19 are endemic. Poorly informed farming and tourism practices now put some species at risk. Raising their perceived value is critical. Responsible tourism that appreciates culture and nature can create market demand for such products, which these communities urgently need. That has been a reason for communities to upgrade their products to be in compliance with tastes and technical requirements of EU markets. C2G takes these vulnerable communities beyond production standards and compliance (which does not by itself guarantee access to market demand) to include learning about obtaining access to local and regional markets; l attaining sustainable value-chain integration, ownership and governance; and acquire business development skills and the ability to form microenterprises or SMEs. During their visit, St. Catherine participants, for instance, were able to improve commercial exchange skills by learning about quality-control practices and business expertise from the Cypriot Plattres Council and YPM Business Consulting. The success of the C2G model can be attributed to heartfelt desire by the vulnerable community to improve and get better. But dynamic knowledge and practice of commercial activities needs more than better information. Ownership of lessons learned requires generating and institutionalizing Hubs of Knowledge among participating countries. This will materialize when responsible government members engage with responsible business people with a sufficiently long-term perspective. In the case of the Troodos visit, unparalleled representation ranged from Bedouins of St. Catherine, who had never before left Egypt, to high government officials of both Cyprus and Egypt. Representing Cyprus were H.E. Commissioner of Environment and Commissioner of Volunteering and NGOs; representing Egypt were the current and former H.E. Ministers of Environment, demonstrating continuity of effort. By sharing effort and resources, the two destinations can drive down the costs of exhibiting indigenous knowledge of medicinal and aromatic herbs from both destinations. Over 150 visitors at the Expo had an opportunity to buy traditional artwork from St. Catherine as well as indigenous Cypriot herbs and honey. Product enhancement: A local young group of designers called “CREATE Team” help generate knowledge that does not disrupt indigenous practices. Trained in Cyprus and working with local community producers and processors (majority of whom are women), the youth team helps develop products and add innovative techniques and designs to already distinctive cultural products. Capacity building: How to maintain market-driven products while keeping their authentic local nature. Business acumen: How to make viable business deals and design systems for quality control. Cultural awareness: Learning and building shared respect for differences in destination cultures. Public relations: Teaming up to support advocacy programs for both destinations. This process is replicable. It can generate and institutionalize Hubs of Knowledge among participating countries. The “Connect to Grow” solution thus adds value to both host and visiting communities. This is how Two Destinations Can Tango. 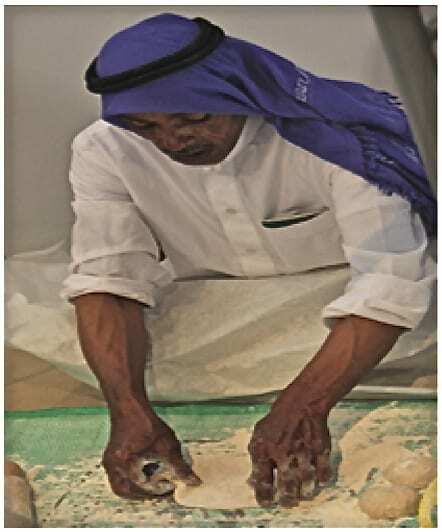 Editor’s note: The Connect-to-Grow approach was selected for one of the presentations this past February at the UNDP-affiliated First Arab States Regional South-South Development Expo in Doha. Of all presenting teams, only C2G’s included members of the target communities. An excellent innovation, we think. Founder of MAWARED Foundation for Sustainable Development. Former Development Adviser for the UN and other agencies. Passionate for geotourism in sustainable agri-food and creative industries. This entry was posted in All, Geotourism, Geotourism initiatives, Stewardship and tagged cultural tourism, Cyprus, economic, Egypt, gastronomy, geotourism, indigenous tourism, Tourtellot, UNDP by Tarek El-Baz. Bookmark the permalink. Hi Dear Tarek!! Glad to hear about yo great friend!!! Its me Erick Moranchel fos CSC 2009 IBM! !